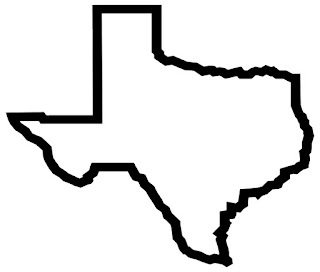 It's now official----I am a citizen of the great state of Texas----tonight though--the stars are NOT bright---it's cloudy here. A little teary as I neared the city itself---the good thing---NO TIME for tears when you are driving in 5 lanes of traffic with a bicycle on the back of your car. One of the many things I've learned to do for myself---securely put the bike rack on the back of the car. I must confess---I drove slower and stopped to check the straps a couple of times---but I made it--all in one piece. SO tomorrow--I begin my immersion into life as a Texan. When Camille was at Baylor, she spent one summer in Spain---"Spanish Immersion"---you learn to better speak the language, but you also learn the people and the culture as you are thrown into the country with no-one by your side. A great way to learn---do or die! I have been sitting here reflecting upon Ruth---how must she have felt--far from home---husband dead---sister in law fleeing---and left with your mother in law----and yet---she followed the customs--learned the ways and honored her MIL by accepting her God. Ruth obeyed Naomi and God blessed them---in a land that Ruth had never known. Ruth accepted Naomi's land and Naomi's God as her own---she immersed herself. Tomorrow--I begin to look for what God has for me here in Texas that will honor Him and show His glory through me. Your land will be my land and my God is your God! Great tips had from your blog and got more useful information about FORT WORTH.From this article I learnt one thing what kind of effort will make you good. keep share more things for us.